Hyderabadi Biryani is popular all across the country. Its amazing taste makes people go mad for it. 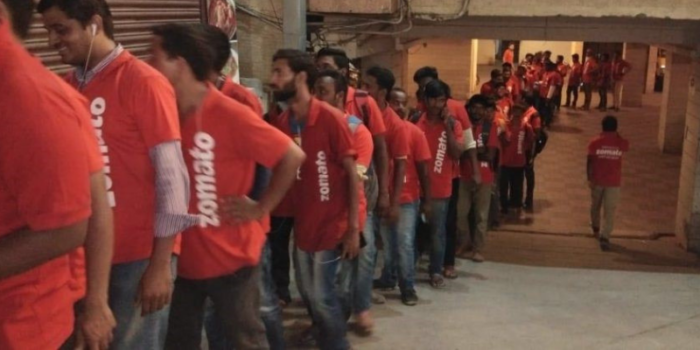 The food delivery startups like Zomato have completely changed the game for small restaurants. 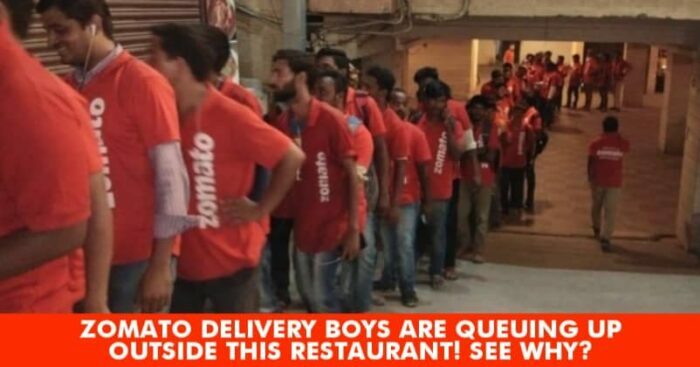 A picture is going viral all across the internet showing Zomato delivery executives in a queue outside the restaurant. This is at Bawarchi, one of Hyderabad’s most iconic biryani outlets. Bawarchi receives around 2000 orders a day, just from Zomato according to its annual report. Chicken biryani is the most searched dish on Zomato. Zomato is currently available in over 10,000 cities with over 1.4m active restaurants across the world. It claims that it is the market leader in 19 of the 24 countries its present in.